Hi Stampers! I'm on a roll and playing along with three challenges again today! 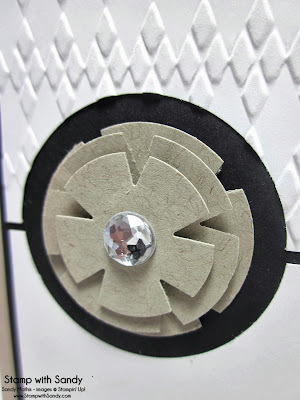 There are always so many fun paper challenges going on in the blogosphere at any given time. I wish I had the time to play along with them all! 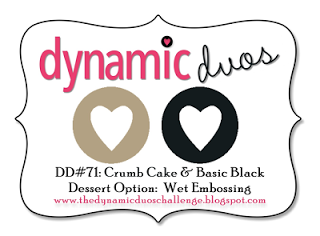 The colors were inspired by the challenge at Dynamic Duos, and as I'm typing this I'm looking at the badge and see I neglected to add the desert option of wet embossing, which is funny because I originally had a different project in mind that did involve wet embossing. Oh well, I hope they like my entry anyway! 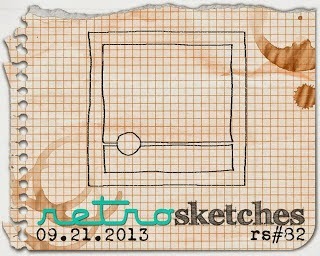 I followed the sketch at Retro Sketches to a "t"! I used the circle to make a negative area which was perfect for nestling my blossom in. 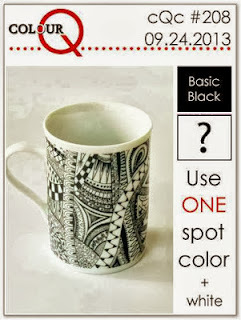 The challenge at ColourQ was to use black, white and one color. My project worked out perfectly for that challenge, too! Isn't this little blossom the cutest? I cut three circles from Crumb Cake, sizes 1 3/8", 1 1/4" and 1". 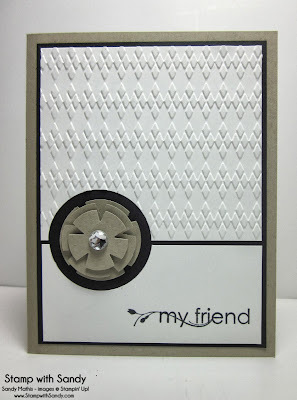 I used the Penant punch to punch out the little notches. Then I stacked them up using dimensionals and used a Large Rhinestone as a center. I've been trying to make it more of a habit to remember to finish the insides of my cards, too. 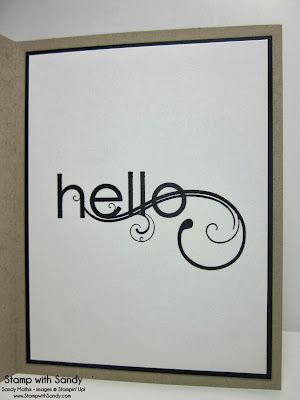 This bold greeting is from the same stamp set, My Friend. I stamped an image on the envelope too, which mimics the circles in the card. Incredibly cool flower and technique; tfs! This is like the triple crown of stamping! 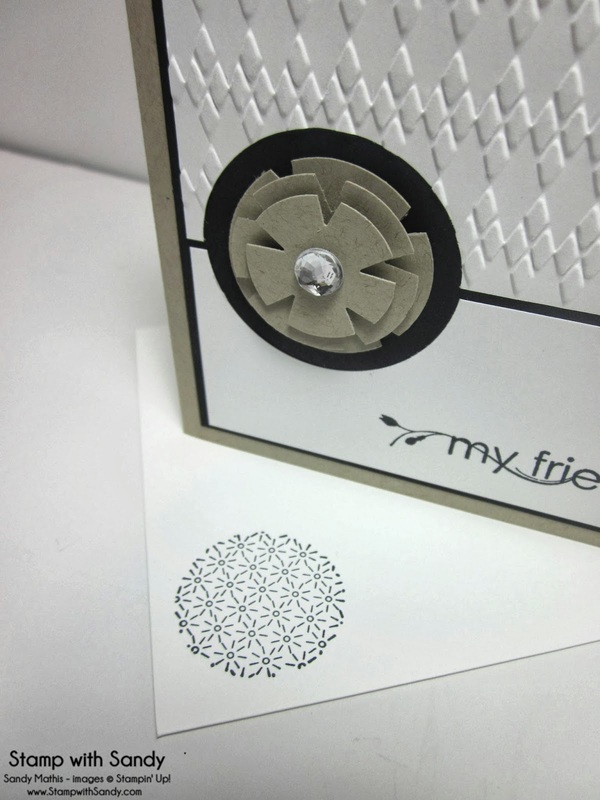 I love the embossing and the cool layered flower! Thanks for joining us at colourQ! Sandy I love that embossed background, great colours. Thank you so much for joining us this week at the colourQ! 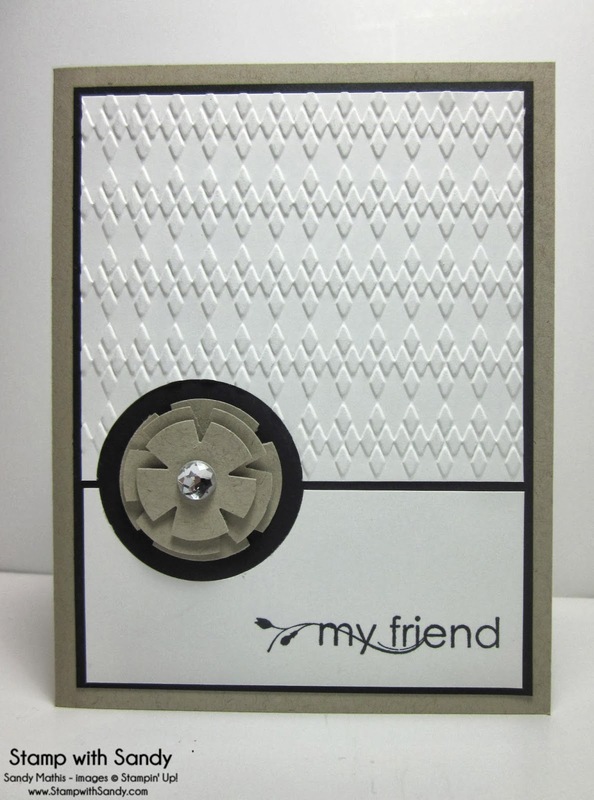 What a gorgeous, elegant card,especially with all those little finishing touches like the inside and the envelope! Thanks so much for playing along with Retro Sketches and Colour Q this week! 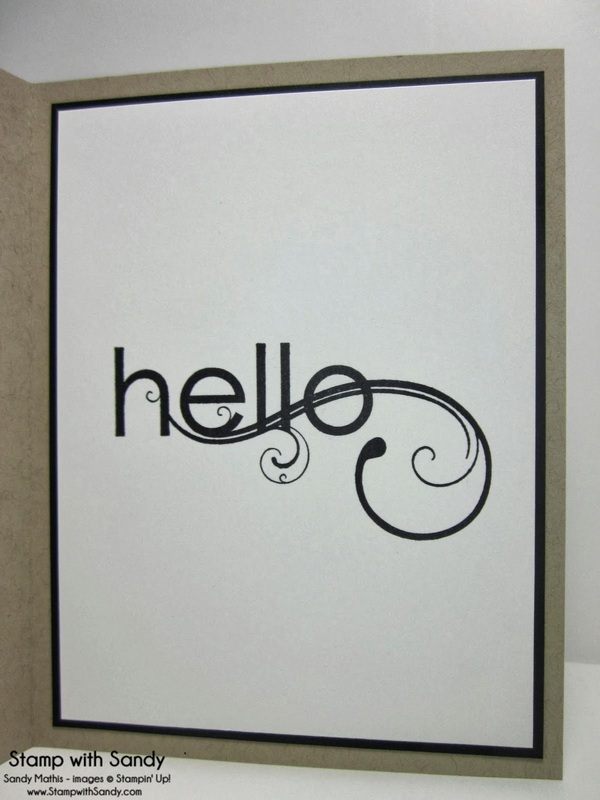 How cool.....love this very modern-looking, trendy card! Thanks for sharing it with us, my friend!